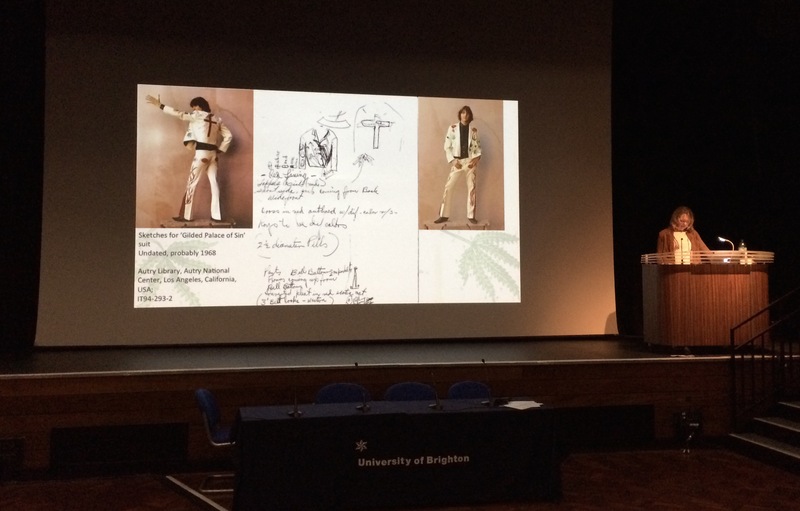 Recently I had the pleasure of attending the ‘Textual Fashion: Representing fashion and clothing in word and image’ conference which took place over three days at the Grand Parade campus and which was organized by the University of Brighton’s Charlotte Nicklas and Paul Jobling. Having never been to a conference before, I wasn’t sure what to expect, but it turned out to be an invaluable source of information and education, opening up new discourses that I had never previously encountered or even considered. Due to the sheer number of speakers over the course of the conference, the papers were split into strands containing three papers each, connected by a general theme, and three strands would be on at the same time, making deciding where to go a challenge. The number of papers that attendees had the chance to listen to over the duration of the conference was a little overwhelming. Although sitting down all day listening to other people speak doesn’t sound like it would be physically draining, it really is – it’s a good job there was plenty of tea and coffee! There was a large variety in terms of speakers, including every career level from MA students (a couple of whom came from Brighton’s History of Design and Material Culture MA) to well-known academic researchers who are paving the way in their chosen field. It was wonderful to see papers from Brighton tutors, including Charlotte Nicklas’ paper on the appearance of the ‘Bright Young People’ in interwar novels and Jane Hattrick’s on fashion designer Norman Hartnell’s appearances in women’s magazines. On top of the twenty-minute papers and discussions we also had truly fascinating talks from keynote speakers Jonathon Faiers and Stephen Matterson, but it was Agnès Rocamora’s paper “Making It Up As you Go Along: Labour and Leisure in the Fashion Blogosphere” that really struck me. As someone who follows a lot of fashion blogs on various digital platforms and social media sites, it was interesting to have an insight into the work of those bloggers and how they negotiate their work in what is still a relatively new platform/form of labour (hence the title). She discussed ideas such as Lazzarato’s ‘Immaterial Labour’ and Terranova’s ‘Free Labour,’ the latter of which seems all the more relevant in the current fashion industry which so heavily relies on unpaid internships. With such a huge range of subjects covered within the title Textual Fashion, including cinema, literature, magazines and more, the conference was undoubtedly a success in providing food for thought. 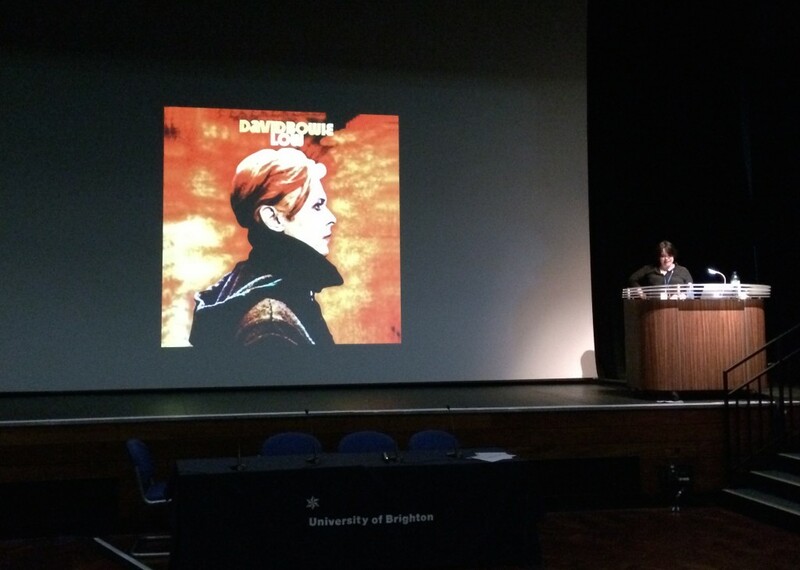 Other highlights of the conference for me were hearing Mairi MacKenzie’s insights into the sartorial influence of David Bowie on football fans, or “casuals” in Liverpool in the late ‘70s, and Janet Aspley’s research on Nudie Suits, specifically the one belonging to Gram Parsons as she explored the relationship between country music and counterculture. I would urge anyone currently studying on any of the History of Art and Design pathways to make an attempt to attend at least one conference before the end of their course (and preferably early on). The experience was helpful not only in terms of learning new things and opening up discussion, but also because it gives you an idea of how to present an academic paper (something we all could do with knowing for seminar presentations). It was also a good networking opportunity: you’d be surprised how many interesting people you get to talk to in what was a truly welcoming atmosphere. Plus, you should make the most of student prices before it’s too late! Graduating BA (hons) Visual Culture student, Kate Wildblood, reflects on the ways in which her personal, professional and academic interests intertwined in her dissertation, soon to be exhibited as part of Brighton Pride 2013. Having spent most of my professional career either DJing within or writing about LGBT cultural and social life, when I became a mature student at Brighton University in 2010 it was perhaps destined that I would bring something queer to my Visual Culture degree. As they say, you can take the girl out of the disco, but you can’t take the disco out of the girl. My dissertation topic, Strike A Pose, There’s Something To It: Imagery in gay clubbing 1989-2013 examined the event flyer designs of Club Shame, Trade and Wild Fruit, showing how they reflected the 1970s Gay Liberation movement along with the challenges of the 1980s and early 1990s when HIV and AIDS dominated the public, political and media perceptions and portrayals of gay men. By exploring Roland Barthes’ semiotic theory of myth, my research revealed how the flyer designers Mark Wardel (a.k.a. Trademark), B_Art, Pete Hayward and Paul Kemp created new meanings by reappropriating cultural iconography and signifiers, gay or straight – be they Oscar Wilde, Grace Jones, Aubrey Beardsley, Alice In Wonderland, Metropolis, Tom of Finland or Herb Ritts – to deliver images that challenge heterosexual ideals of masculinity. In creating new images or subverting existing images for their own ends, gay flyer designers signified certain meanings, rooted in historical context, that connect the viewer to a particular aspect of gay culture, be they childhood memories, icons, subcultures or ideals of gay male beauty. By visually representing my research through the collages Trading Poses and Fruity Benders, I too reappropriated the images of gay clubbing to create further layers of meaning. Having spent so long surrounded by gay clubbing imagery I was keen to strike new poses with the material and to represent the rich queer history we have all played a part in developing. If you will excuse the puns, I wanted to Trade in the glorious Fruit-iness of it all. I’m genuinely delighted that my two collages will feature in the Icons exhibition as part of Brighton’s new LGBT arts festival during the Pride events of 2013, and am honoured that my work will sit alongside artists including Keith Haring and Mark Vessey. The purpose of Pride, for me, has always been more than a party; it’s about celebrating the people of Brighton and our shared pride in our city. The Icons exhibition is a perfect reflection of that pride and a showcase for the artistic achievements of our seaside city. As so many of the images I used in Trading Poses and Fruity Benders originate from Brighton’s gay clubbing scene, it feels like they are coming home.